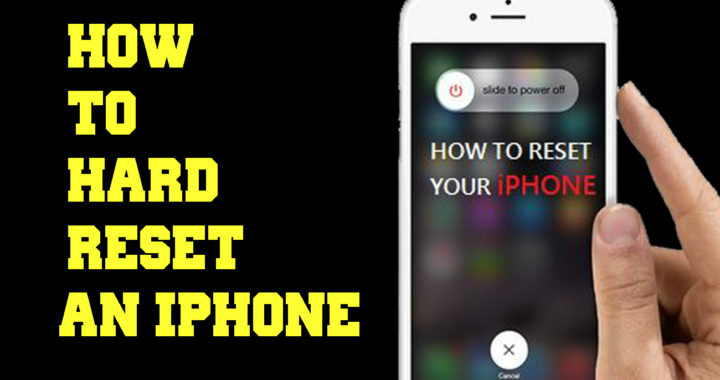 The hard reset clears your phone from any information contacts, pictures, videos, messages and all what is not from the original firmware of your iPhone. It wipes everything and sets it back to the factory settings, as if it is new and you just got it from the store. If you want to sell your iPhone, this hard reset is highly recommended. You must to take it through these steps, that way you won’t have the buyer asking for the Apple ID to do a reset. And that way also you’ll be able to maintain your privacy, as this will erase all your photos, videos and all the information that you don’t want the buyer to see. How Does ECG work On Apple Watch 4? Does it remove the Apple ID or the iCloud lock? No, it does not remove the Apple ID or the iCloud lock. Will this delete or interfere in any way with my carrier and avoid my contract with Verizon or AT&T? No, it will not remove the carrier. So, if the phone is a Verizon phone and you did the hard reset by following the steps, it will still be a Verizon phone, it won’t be unlocked to be able to use on a different provider. If that’s what you’re looking for, then maybe this article is not for you. Do I have to use an Apple laptop to reset the iPhone? No, you can use any mark of laptop. Just make sure that you have the latest version of iTunes program installed in that laptop. How long does this take? It depends on a lot of different factors. Like internet speed, computer speed, and how full your iPhone is. So, there’s no way to give you a direct answer to this question. It can 5 or 10 or even one hour it depends on a lot of different variables. Why my laptop doesn’t detect the iPhone? Make sure that the charger cable is the original. If you don’t have the Original charging cable, ask your friends or family for it, or try a different computer. Maybe for some reasons they don’t working well with each other. Before getting started, if you’re just doing a hard reset because you’re having some sort of issues in your iPhone, I would strongly recommend you to backup all your information, and make sure you have them saved on your iTunes or iCloud before doing this. Because, the hard reset will delete all of your information and there is no way to restore them, if you didn’t have a backup point. 1. Make sure that your iPhone is fully charged. 2. Power off your iPhone, and make sure that it is fully powered off. 3. Connect an original charging cable to your laptop. 4. Hold the home button for 2-3 seconds and then insert the charging cable and keep holding the home button until you the your iPhone shows the iTunes logo. 5. Once it’s on the iTunes logo, you can at this point release the home button and follow iTunes guide from your laptop screen. (there’s a problem with the iPhone that requires it to be updated or restored). 6. Click on restore it, and small window will pop-up to alert and give you some information about what will happen after the restore. You should see something like this: (are you sure you want to restore the iPhone to its factory settings? All of your media and other data will be erased and the newer version of the phone software will be installed). 7. Go ahead and hit restore and update. (iPhone is in recovery mode, iTunes is preparing to restore the software on this phone). That mean, it is extracting the software, and all what you have to do is and let it do its job. Give it a few minutes to until it finished the software extraction. And once the restoring of firmware is done on the iTunes, it’ll wait for the iPhone to finish as well. The phone should do a restart by itself and it’ll go through the second loading screen, wait until you see that exact welcoming screen that you see when you booted it up for the first time out of the box. 8. And once the iPhone shows the ‘’Hello’’ screen, you’ll then be able to unplug the cable without any problem and set it up as a new iPhone or restore it from a back-up version. By following the setup wizard, you’ll be able to set your parameter as you would like, and you can skip none required settings until the iPhone desktop again.